the gardiner's dirt: School's Out! 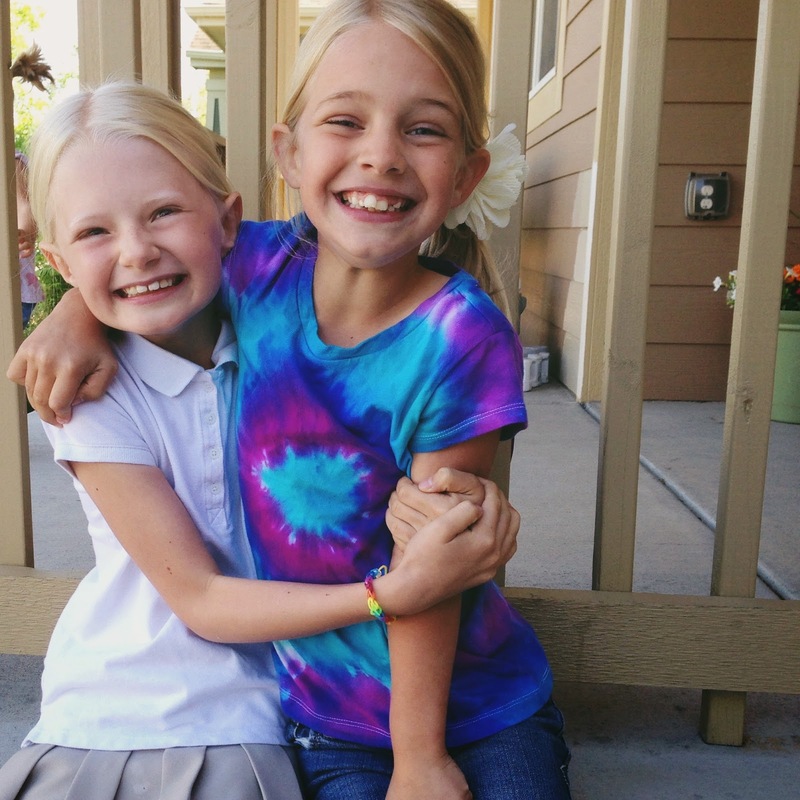 Their last day of 1st and 2nd grade was today. Yay! I could not be more excited for school to be out this year! I'm sooooo tired of our schedule and homework and their stress. The are completely ecstatic! As they love nothing more than to play play play with each other. I am so excited that they can let their little imaginations run wild for longer stretches and for all the adventures we will all have together this summer!!! Also, I have just missed them! GM will often come to me with her big sad blue eyes and say, "I feel like I never get to see you, Mom." I remind her that is of course not true, but with school, homework, soccer, and her playing with her sister's, and me managing the little ones it's a little true that we don't get too much one-on-one time. 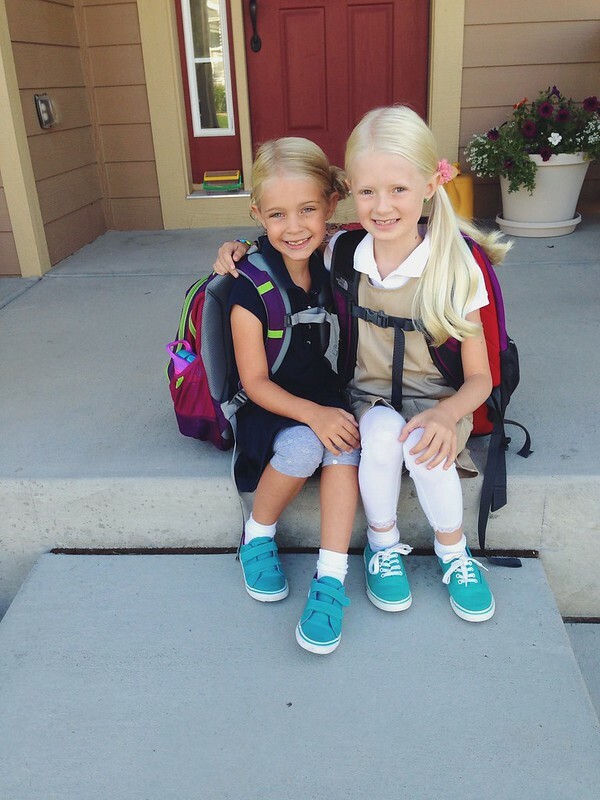 This is them on their first day back in August. It's funny to see their different expressions regarding the events. They both had amazing teachers this year and we could not love our little charter school more, but we are ready for SUMMER!